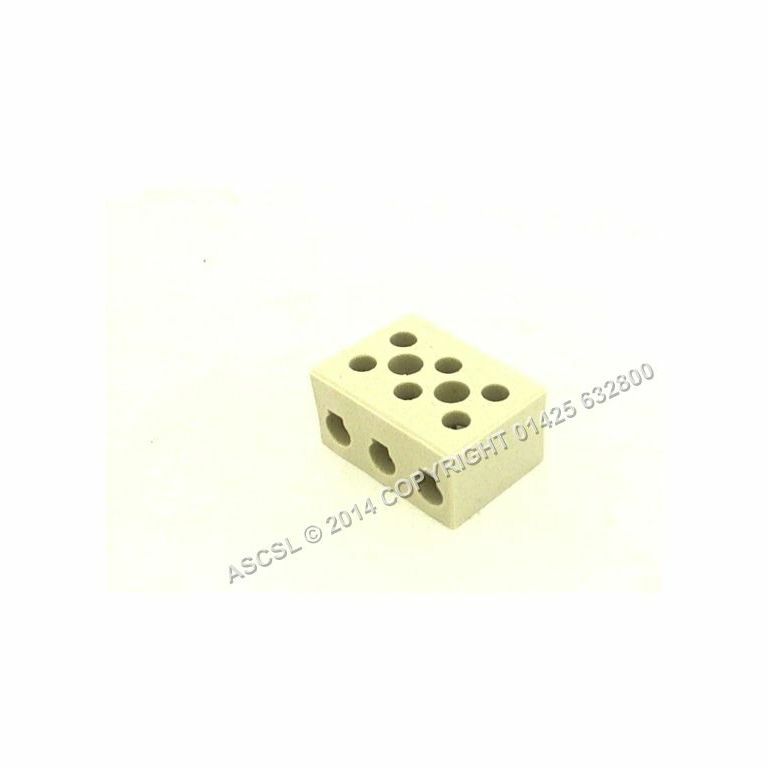 3-Pole Ceramic Terminal Block. For cable max. 6mm. Operating temperature 300C. Nominal voltage 450V. Dimensions 38x25x20 mm.